Blackberry season is hands down one of my favorite times of the year. Around here, you pretty much walk outside and it’s free berries EVERYWHERE! It’s hard not to get a little giddy when you think of how much a bucket o’ berries would cost you from the store or farmers market. 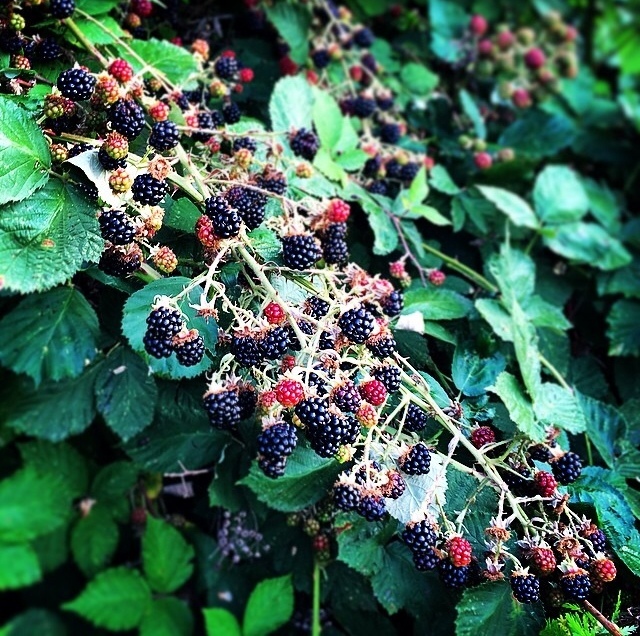 Nothing feels more like summer to me than picking blackberries. It’s almost always August, it’s HOT out, but at the same time you know summer is coming to a close, and you have to relish in the last few weeks. My blackberry picking love is hard to explain, but it really is one of my favorite things. Last year I was in the throes of my wedding, and didn’t have time to pick a single berry! It was totally sad. I promised I would make up for it this year, I have been saving all of my blackberry recipe dreams, yet I have only had time to eat them with yogurt, oatmeal, and in a few smoothies…mostly at my work desk. Last year at this time I had NO idea I would have a much more demanding job, with a shiteous commute to boot, in a totally different state. It’s weird. The time I used to spend blogging and cooking up new things is now spent listening to audiobooks while sitting in traffic. 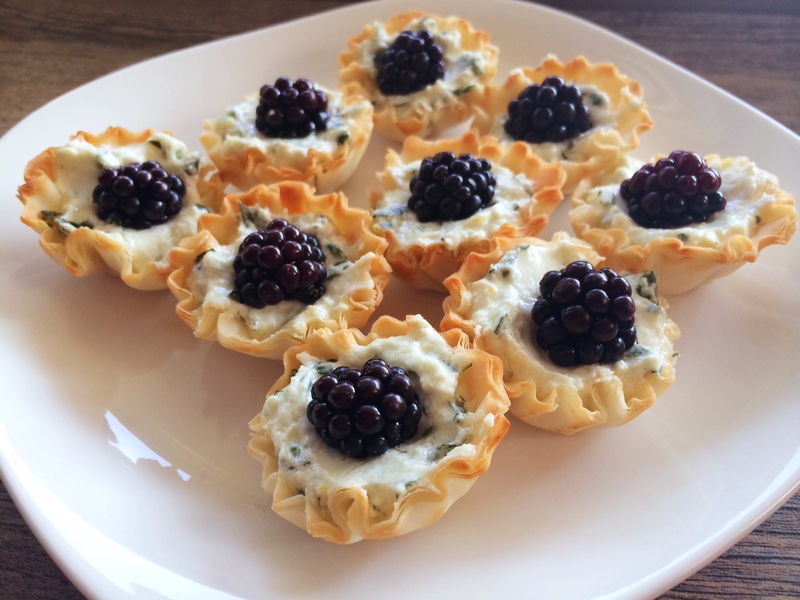 I may not have had the time to make amazing Blackberry Pie Bars but I did have the time for these little apps – blackberry goat cheese bites! Oh baby. Super easy and super good. If you want to mix up your blackberry game this is a good place to start! 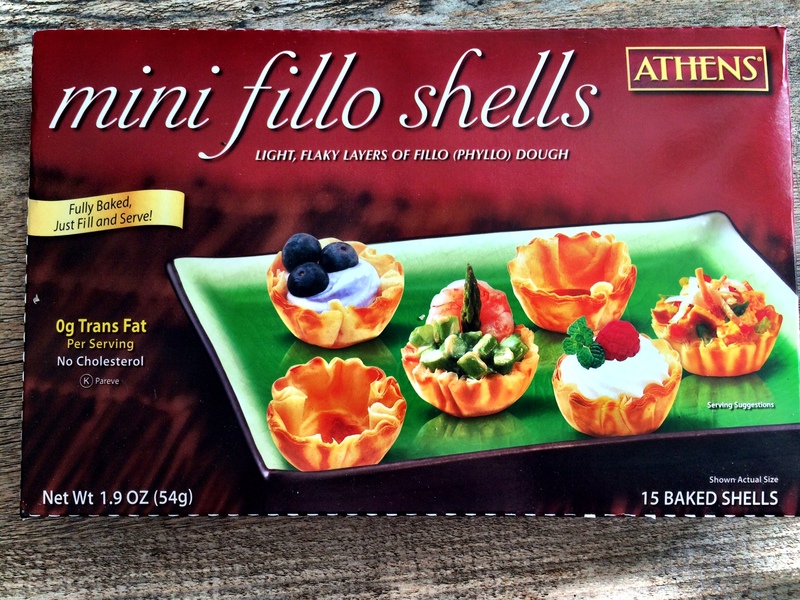 These little mini fillo shells are great, if you can’t find them at your grocery store you can order them on Amazon. I took these out of the freezer and let them defrost. They are GREAT to have on hand for last minute appetizers. For the goat cheese: Beat the goat cheese, cream, basil, salt and pepper in a medium bowl using an electric hand mixer on medium speed until light and fluffy, about 1 minute. 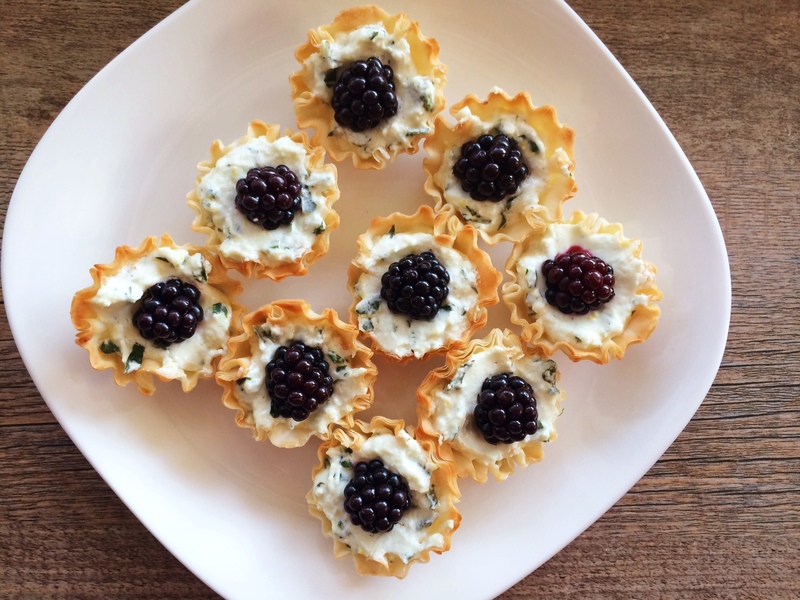 Fill each fillo cup with the goat cheese, and place 1 blackberry in the center. 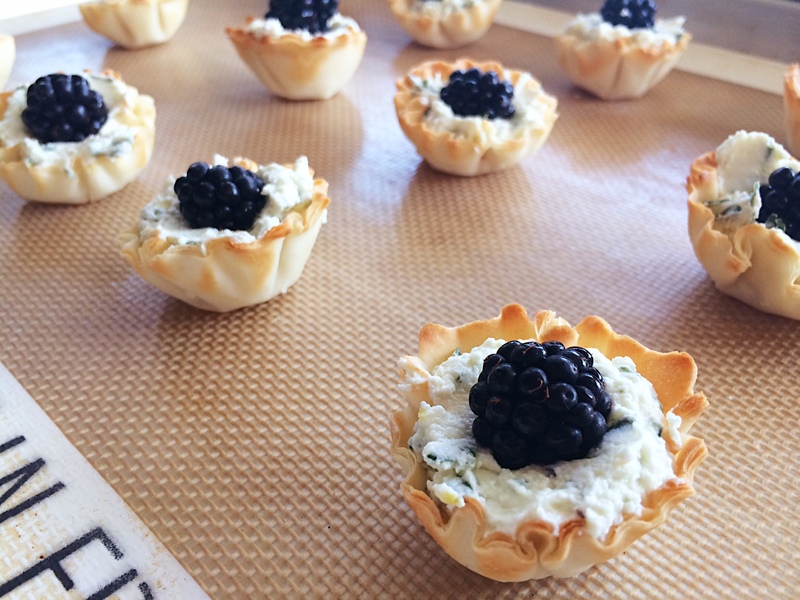 You can eat these immediately, or you can throw them into a 350F oven for a few minutes to soften the cheese and get those blackberries ready to burst. They are delicious both ways!